João III, the king of Portugal, has a dilemma: the wedding gift to his cousin, Maximillian of Austria, at the time of his nuptials seems insufficient. But a solution has been discovered in the form of Solomon the elephant. In the king’s possession for many years, it has hardly garnered the attention such a creature demands, and so sees it not only as an option to dispense with an overlooked royal asset but also to give a stunning gift. This means transporting the beast from Lisbon to Vienna. At each new location the elephant inspires the fascination of the locals, with all viewing the elephant as a different being of elation, concern, or utility. 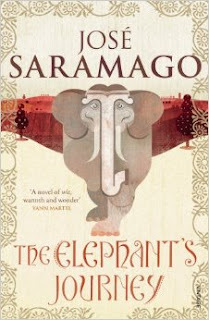 The Elephant’s Journey is a rich, whimsical tale filled with humour, solemnity, and the truth of the circumstantial.